Bitcoin's crash over the past week continued up until the start of Asian trading here on Nov. 25 after falling as low as $3578 earlier today. 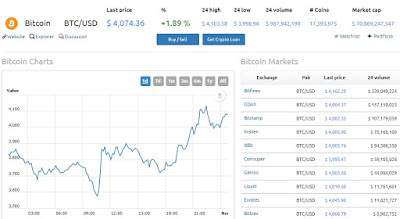 However it appears that buying volume across the entire cryptocurrency sector has helped propel it back over $4000 per coin. 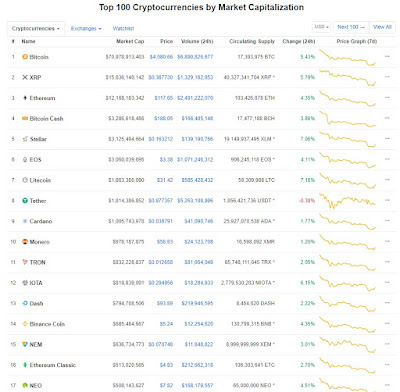 Looking at the entire cryptocurrency sector as a whole, Bitcoin's small recovery has been followed by positive gains across the board for the top 20 tokens. 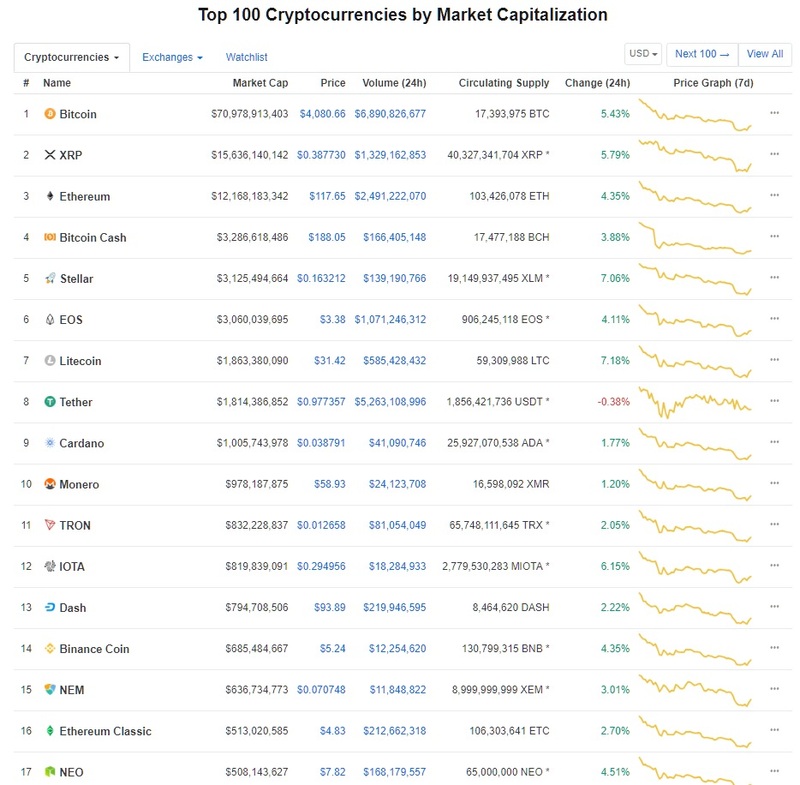 Inevitably, 2018 will have proven itself to be a terrible year for the sector as more than 80% of its market cap has been lost over the past 10 months. And with investors more worried about finding safe havens from equity markets that are themselves starting to sell off, it is unlikely that cryptocurrencies like Bitcoin will gain much traction since both momentum and sentiment appear to be extremely negative.